Thank you to everyone who attended or donated auction items for the Orphans of the Storm® Benefit Dinner on Monday! The theme was “Who Rescued Whom?” and we got to hear some very heartwarming adoption success stories. If you would like to share your own Orphans of the Storm® adoption success story here on the blog, please email meetthepooches@gmail.com. Here are just a few of the many dogs benefiting from the funds raised! T-Bone the four-year-old Staffordshire Bull Terrier mix is super cute. I can’t resist a wrinkly forehead, and T-Bone’s forehead is extra wrinkly and adorable. T-Bone is a sweet boy who really blossoms when he receives positive attention. Whenever I pet him, his tail would immediately start wagging and not stop until I stopped. T-Bone is a big boy, but seems to be pretty well-behaved. He pulled a little on the leash when he first got out of his kennel, but that’s to be expected. T-Bone had a fun time playing with Roxy (who was in the off-leash run next to ours) through the fence, but he didn’t seem too interested in playing with any of the tennis balls. T-Bone knows he’s ready to join a family–all he needs is the right family to come in and find him! 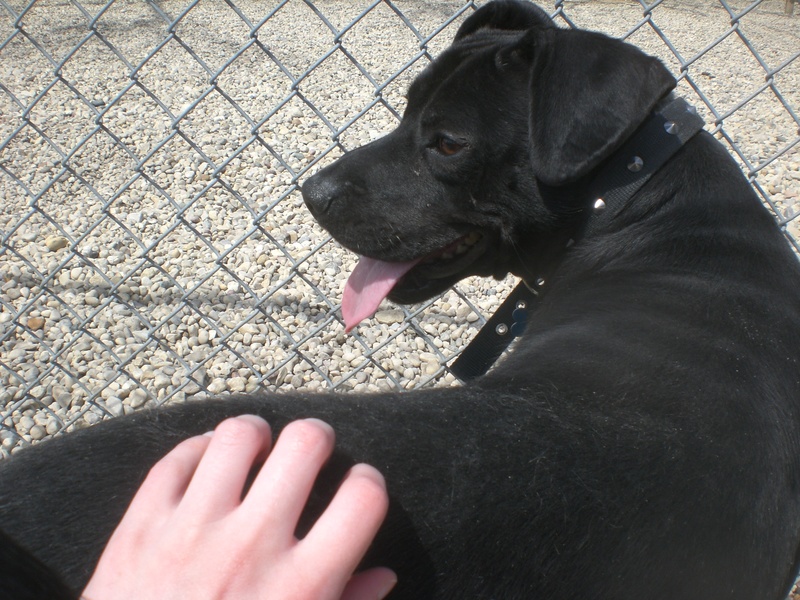 O’Shea the four-year-old black Labrador Retriever/Pit Bull Terrier mix is another cutie with a wrinkly forehead. 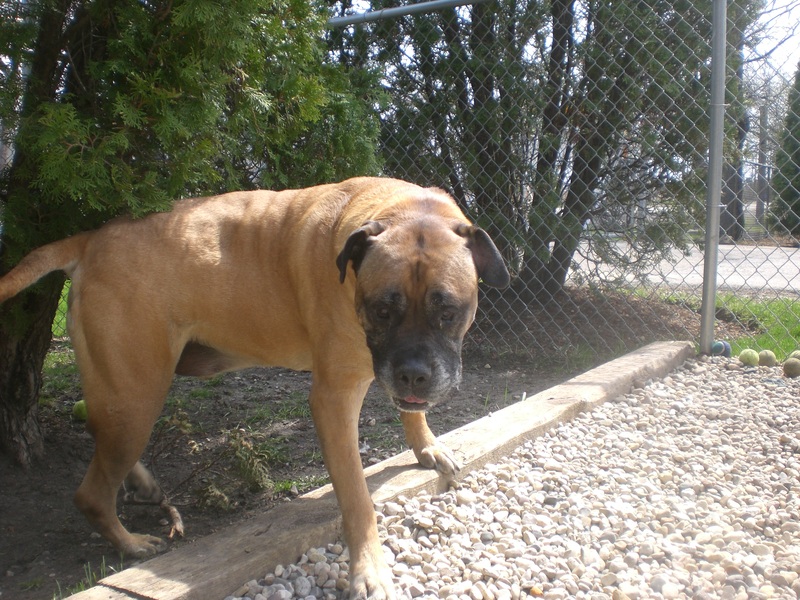 O’Shea would definitely benefit from having a family that will take him on daily walks and spend time playing with him. He had a good time exploring the off-leash run and going under and around the bushes, and ran after the tennis ball when I threw it (though he didn’t pick it up or bring it back). O’Shea is definitely a people dog. Once he knows you, he will happily greet you with a doggy hug and give you plenty of doggy kisses. O’Shea would do best as the only pet in his new home, since he usually isn’t a fan of other dogs, but one O’Shea will give you all the love you need! 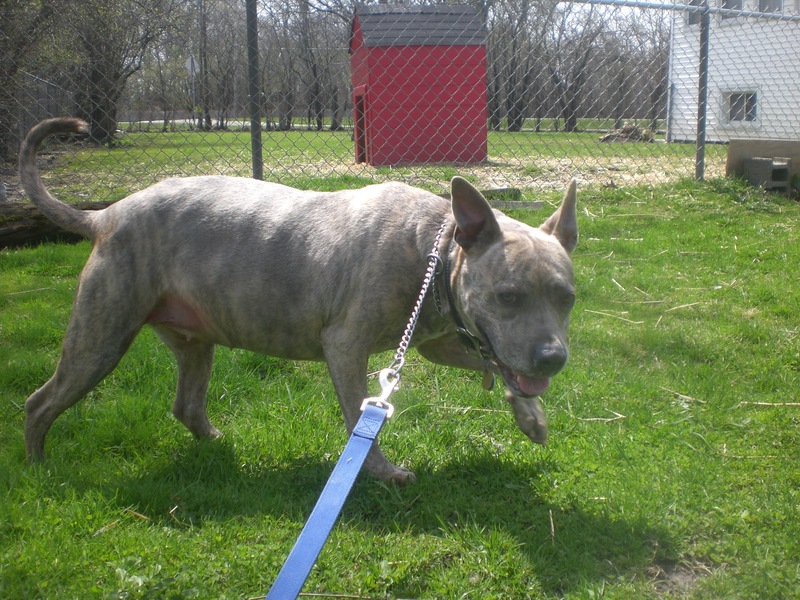 Stop by the shelter soon to see if O’Shea is the pooch for you. Zoey the three-year-old Staffordshire Bull Terrier mix (not to be confused with the other Zoey) came from a family who could, unfortunately, no longer keep her. That means that she has a lifetime of experience as a family pet, and it shows. 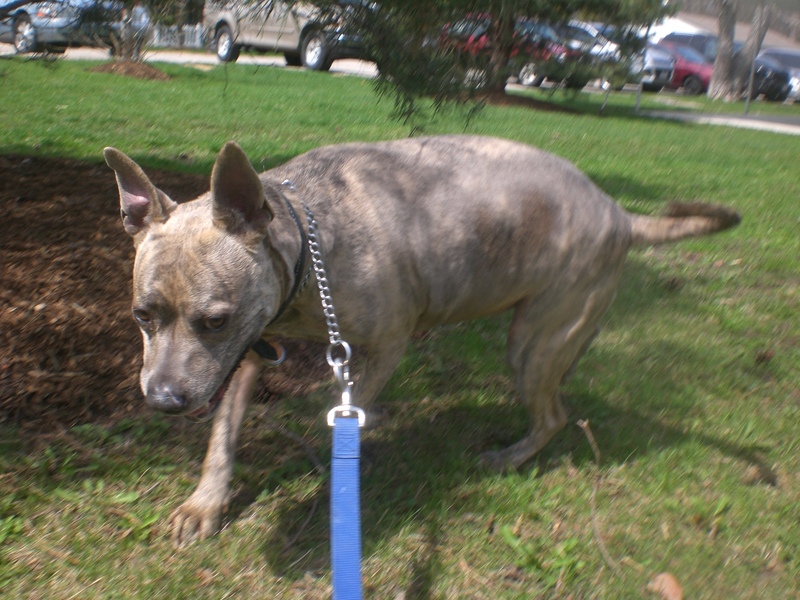 Zoey is very well-behaved: she walks nicely on the leash, knows some basic commands, and is housebroken. She’s family-ready! Zoey needs to be the only pet in her new home, but she does well with children. In fact, she was featured on the Orphans of the Storm® Facebook page a few weeks ago, with a picture of her surrounded by a group of kids. Zoey is also a very pretty girl (she could practically be Hachi‘s twin sister). Zoey ended up at the shelter through no fault of her own; she knows she can make you fall in love with her if you give her the chance. 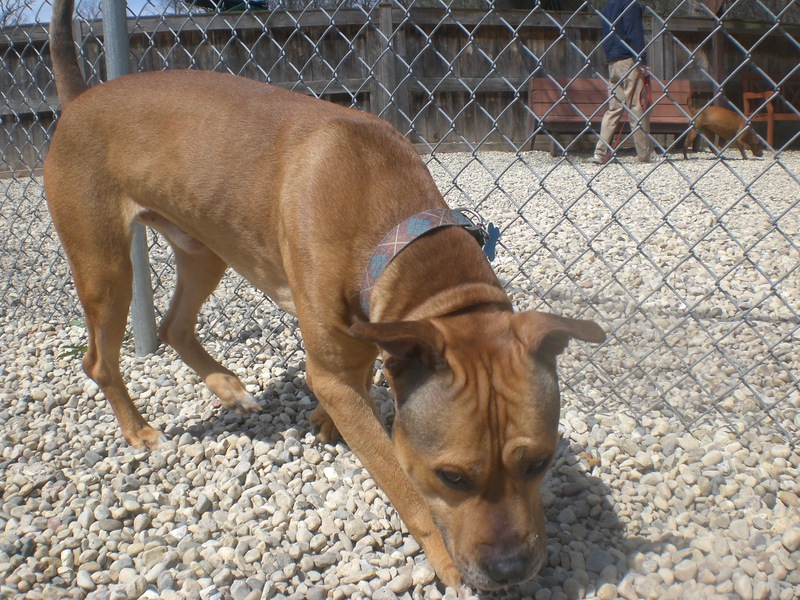 Come in soon to meet Zoey! 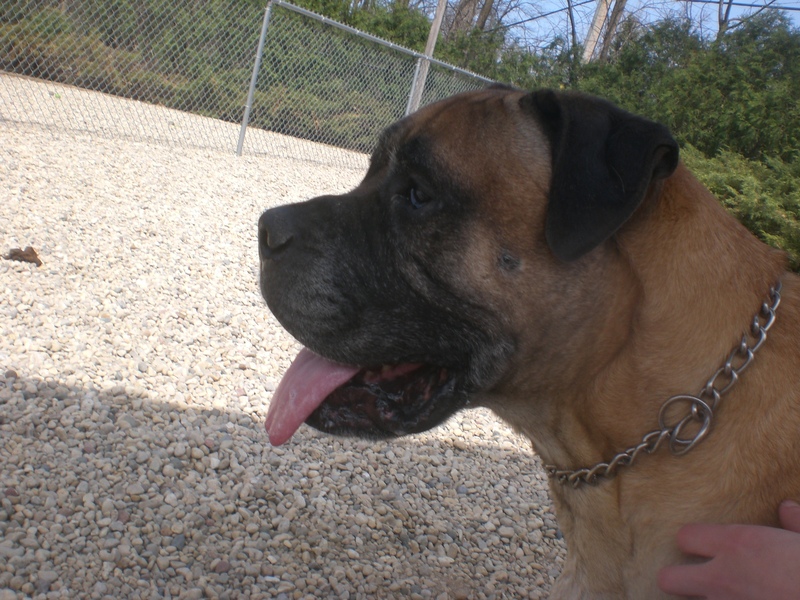 Kayne the six-year-old Mastiff is an absolute gem. I can’t say enough good things about him (which can be vouched for by my family and friends, who have kindly listened to me talk about him for days now). Kayne was adopted a while back, but returned because his family could no longer care for him. Kayne is a very easy dog, but before you decide to bring home a dog this size, it’s important to consider things like the cost of all the food he’ll need. Kayne is the epitome of a gentle giant. He walks nicely on the leash, even though he could easily pull you over if he wanted to. He is very much a snuggler, even though the only part of him that could fit in my lap was his giant face. He’ll sit right by your side and give you slobbery doggy kisses (emphasis on ‘slobbery’). Kayne also does well with other dogs of all sizes; he currently shares his kennel with Tulip but previously shared a home with a Dachshund! Kayne is just the biggest sweetheart. 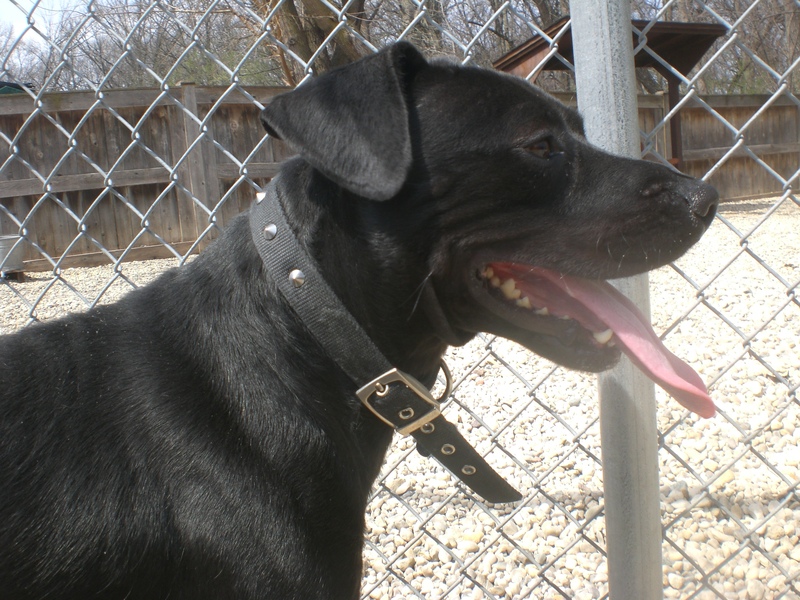 If you have the space in both your home and your heart, stop by soon to meet Kayne! I also saw Arnold, Azul, Bear, Blush, Cooper, Courage, Diamond, Gus, Jasmine, Javan, and Rosco. 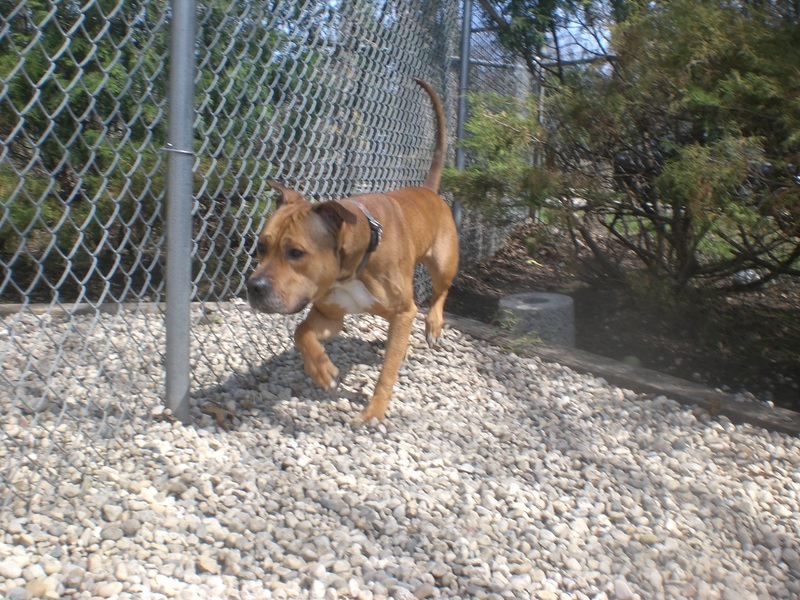 Posted by Meet the Pooches on April 24, 2015 in Dog Profiles and tagged adopt, animal shelter, animals, Chicago, Deerfield, dogs, Highland Park, Labrador Retriever, Mastiff, Orphans of the Storm, pets, Pit Bull Terrier, Riverwoods, Staffordshire Bull Terrier.